I work as a QA advisor in the Screening Quality Assurance Service (SQAS) in the north of England. I thought it would be worth reminding all those commissioning or working in diabetic eye screening programmes of the current situation around training for programme staff. Until April 2016, we expected all staff to complete the required diabetic retinopathy screening City and Guilds (C and G) qualification for their role within the programme. All new graders, and those currently in training, had to successfully complete the online component of Units 7 and 8 of the C and G qualification before being signed off as competent to grade. They needed to obtain the complete qualification within 2 years of appointment. Those who did not meet this standard had to be supervised while screening and/or grading. This is a minimum standard for all programmes. The situation for programme managers and failsafe/administrative staff was slightly different. It was an achievable, rather than a minimum standard, for administrative staff to hold the C and G qualification. The guidance stated that all administrative staff ‘should’ hold the qualification, as opposed to the ‘must’ for screeners and graders. The qualification can, however, be of great benefit to administrative staff. To monitor the standard, programme boards should receive quarterly reports regarding the qualifications of all staff. In April 2016, PHE screening, with support from Skills for Health and Health Education England, introduced the Diploma for Health Screeners. This diploma is for new clinical non-professionally regulated screening staff in the NHS Diabetic Eye Screening Programme, NHS Abdominal Aortic Aneurysm Screening Programme and NHS Newborn Hearing Screening Programme. More information on the new qualification can be found on the CPD website. There is no new qualification for administrative staff, although this is currently under review. Administrative staff can therefore continue with the C and G qualification until any new guidance is issued. 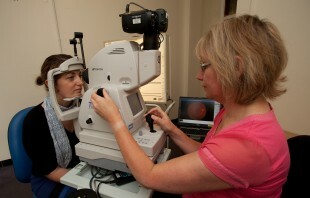 The revised national pathway standards for diabetic eye screening are expected to be released shortly. Early indications suggest that Objective 14, Screening and grading staff to be appropriately qualified in accordance with national standards, will be removed and monitored as part of the service specification.